When that day comes, I'll be counting on the New York Times and CNN to bring me all the gory details. Scary. They still have more work to do on the mouth area. But other than that it looks pretty real. 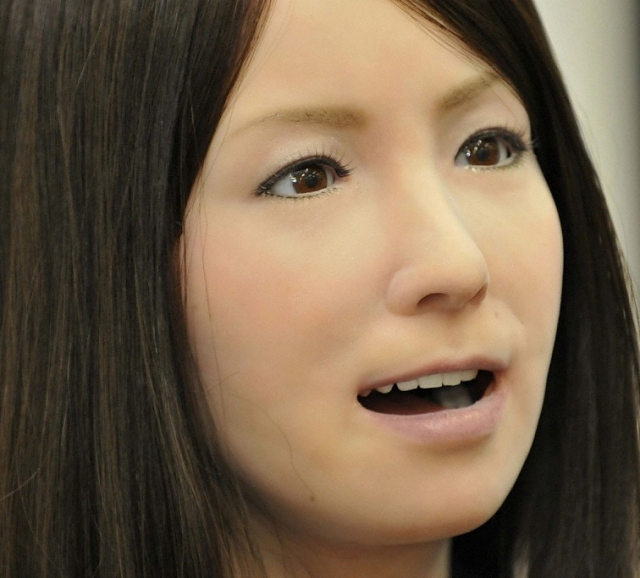 If I know it right, Ishiguro has also created other robots. I think all Repliee variants were done by Ishiguro labs at Osaka University. I don't trust this toy at all. it can do to much.Next thing you know these same robots will have the few jobs left in America. 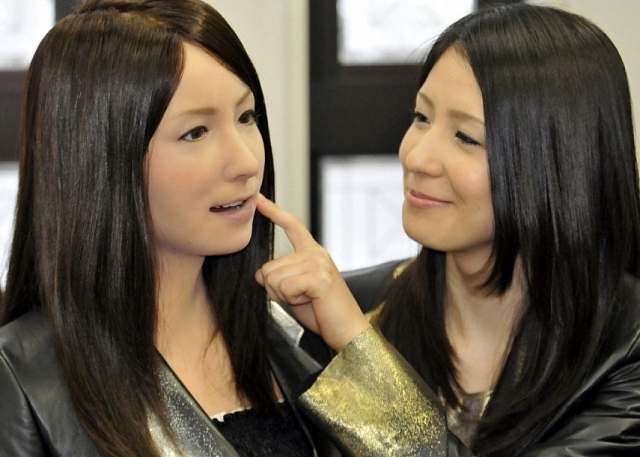 It's okay, we'll all have our own robot self to go out and work on our behalf. Then we can sit around, read the web, play frisbee and pop out to visit robot love parlours for recreational enjoyment. The world of the future.. it's awesome! DivaBot | CocaColla.it - Cool people drink it!